Even as the overwhelming evidence a man is no good for you continues to pile up right in front of your face, you just canâ€™t seem to let him go for good. If you have never experienced soul ties, be grateful because those bonds are real and they can make it almost impossible for you to let go of someone who is well past their expiration date in your life. Despite multiple warnings and solicited and unsolicited advice from outsiders and even as the overwhelming evidence a man is no good for you continues to pile up right in front of your face, you just canâ€™t seem to let him go for good. This behavior is, unfortunately, all too common, and many women find themselves in a constant cycle of dysfunction because, instead of doing the right thing and ending a bad relationship once and for all, they allow themselves to be gluttons for punishment. They convince themselves their guy is not â€œthat badâ€ or he will eventually come around, only to, again, find themselves at their witâ€™s end, ready to kick him to the curb for good. If you find yourself at this point, you have to learn to put yourself first before any man or relationship. You should have some dignity and do away with a dysfunctional relationship no matter how much you think you love the person that is hurting you. 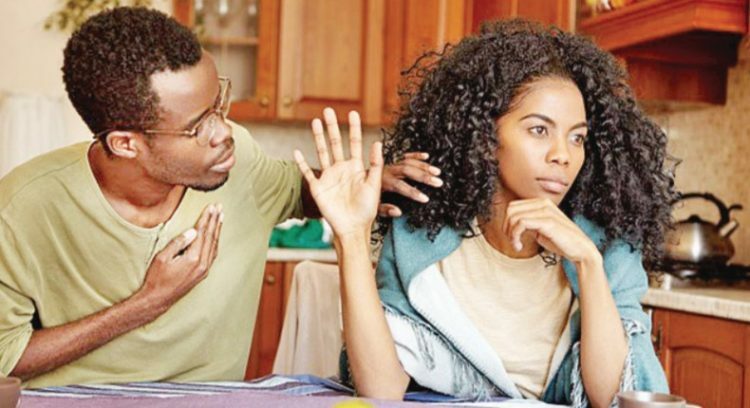 Here are some tips to help you finally rid yourself of your current mate and ensure your next relationship is for keeps. Despite its simplicity, this is one of the hardest things to do when you want to end a relationship for good especially for some women who are very emotional. End all communication with that man who is no good for your heart. Cutting off communication means there shouldnâ€™t be any phone calls, text messages, social media messages or emails. Let your family and friends know that they need to end all contact with your ex as well because he will certainly try to get to you through them at some point. When your ex realizes that communicating with you is no longer an option, he may try the next best thingâ€”popping up where you are in an attempt to get your attention. This means that your job, your home and the homes of your family and friends are likely places that he will show up to convince you to take him back. Simply ignore this behavior, whenever he makes surprise visits, refuse to entertain him until he gets the message. If he becomes aggressive and you fear for your safety, call the police and alert your friends and family too. Once you have finally decided to end things with that guy who is not good for you, you need to totally clean house. This means that you need to get rid of everything that reminds you of your ex and your relationship with him. Delete old photos, pack or throw away previous gifts, trash that special playlist he made for you and finally get rid of all his clothes or anything that holds his scent. You have to know that not having these constant reminders around will help you avoid the nostalgia of your relationship and romanticizing it to be better than it was. Did you and your ex frequent a certain place for lunch or dinner? Do you take a specific route home? Or shop for groceries at a neighborhood supermarket? Continuing to do all of the things that you and your ex made a tradition is a sure-fire way to insist that you wonâ€™t be able to let him go any time soon. Start new habits that reflect the new phase of life you are entering, one that has absolutely nothing to do with your ex. Letting go of a relationship that you have held on to so tightly is not something that can be done overnight, so donâ€™t be afraid to give yourself time to fully get over things and break free emotionally. It could be months or more than a year before you fully feel completely cleansed of your last relationship and thatâ€™s perfectly okay. Additionally, donâ€™t let the outside pressure of others eager for you to move on rush your progress. You need time to heal emotionally.